A supplementary Russian military contingent will be deployed on the territory of Kyrgyzstan according to a memorandum that’s been signed by Presidents Dmitry Medvedev and Kurmanbek Bakiyev. The Russian and Kyrgyz leaders are meeting to discuss military cooperation between the two countries in the resort town of Cholpon-Ata in Kyrgyzstan, where a two-day informal summit between the Collective Security Treaty Organization (CSTO) members is taking place. The memorandum signed by the two sides regulates the legal aspect of the presence of the Russian armed forces in the Central Asian state. 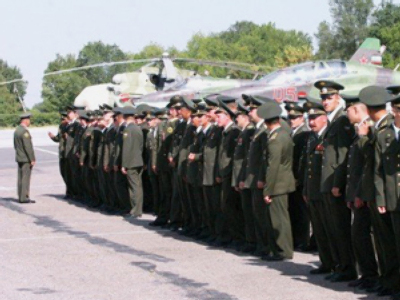 According to the document, a Russian military contingent – up to a battalion – will be deployed on Kyrgyz territory. Also, a joint military training centre will be created. In addition, an agreement over the creation and status of a Russian military base in southern Kyrgyzstan will be signed by November 1 this year. The document will be valid for 49 years. 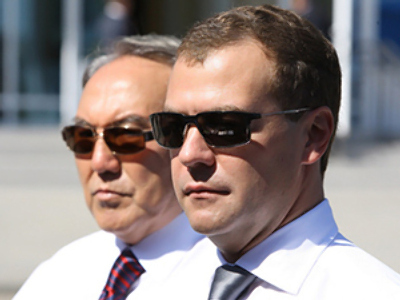 The memorandum has become the only document to come out of the meeting between Medvedev and Bakiyev. It was expected that many issues concerning military cooperation between the two countries – both bilateral and within the framework of the CSTO – would be discussed. Among them – a collective CSTO fast-response base to counter any outside threat. However, these issues were not on the agenda since – as many believe – it was an informal meeting and such important questions should be left to a more formal gathering. The US operated Manas base in Kyrgyzstan was not discussed by Medvedev and Bakiyev. It was previously an air force base, but is now a transit base, used by American and coalition forces to support their troops in Afghanistan. According to the Russian side as long as Manas remains only a transit point, Russia has no problem with the base’s activities. 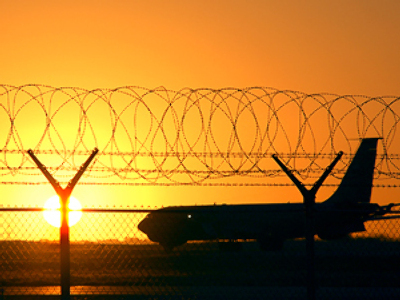 Moscow already has military links with Kyrgyzstan – the Russian Kant air base is located to the east of the capital Bishkek. It’s believed the second base could be considered for a joint use of the CSTO members. The decision to set up a collective rapid response security stronghold in Kyrgyzstan was made at the CSTO summit in February this year. It is expected that forces from all CSTO member states – Armenia, Russia, Belarus, Kazakhstan, Kyrgyzstan, Tajikistan and Uzbekistan – will be assigned to the unit.